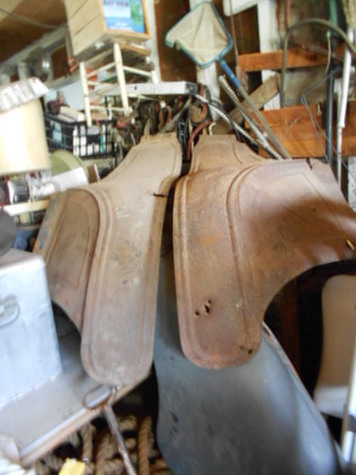 Model T ford Front fenders , not sure of year they fit, says 1924 , need some refurbishin as they have some bullet holes in them must of been from a Get Away Car??? $250. Pair Or would sell separately, Plus shipping if shipped or can come pick up.